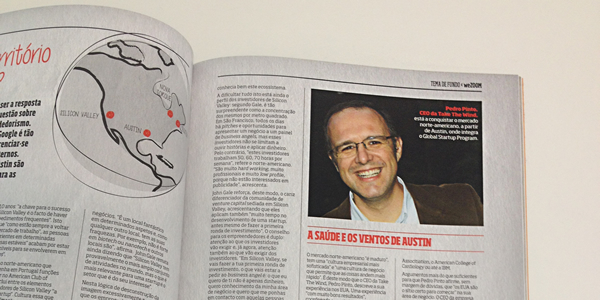 We’Biz, an entrepreneurship magazine, has recently published a work about our Company in its June issue called “Entrepreneurship Ecosystems”. We’Biz is the ANJE’s (National Association of Young Entrepreneurs) magazine. On page 25, you can find a page describing Take The Wind’s activities and projects, focusing on our presence in UT Austin. Take a look at the full issue here.